Walter Pater born on 4th August 1839 at Stepney, London, was an English essayist, art and literary critic, fiction writer. He is considered as one of the great stylists. Pater’s work on the subject of Renaissance was famous, however controversial due to his decaying or lost belief in Christianity. Born in London’s East End, Pater was the second son of Dr. Richard Glode Pater. His father was a physician who moved to London in the 19th century to practice among the poor. In Pater’s early age as an infant, Dr. Pater died and the family had to move to Enfield, London. Walter went to Enfield Grammar School and was being tutored by the headmaster personally. In 1853, he went to The King’s School in Canterbury where he was impressed by the beauty of cathedral which remained with him through his life. His mother died in 1854 when Walter was only fourteen years old. John Ruskin’s Modern painters inspired him lifelong to study art. Later he went to Queen’s College in Oxford in 1858. During his under graduation, he used to read literary and philosophical contents. Gautier, Swinburne, Flaubert, Baudelaire were among his early favorites. At Oxford, his faith in Christianity was shaken and he lost interest in Christian doctrine. 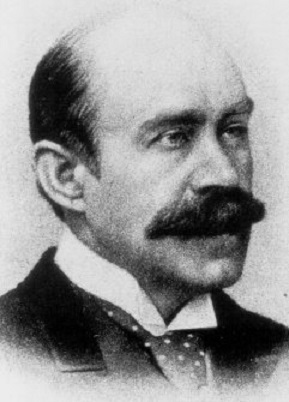 Walter was considered as one of the better critics of the 19th Century. He was a good literary analyst and a brilliant stylist. He was a good taster of the written material which helped him to choose the best writings. Though himself not being a prolific writer, he founded a new interest in literature – the aesthetes. In the year 1869, Walter toured Italy, Pisa, Ravenna, and Florence. He was fully preoccupied in the study of Renaissance art which gave him the foundation of his great work on Renaissance. He mainly worked with three literary periods. His most famous and earliest critical work, Renaissance serves the period of art and literature of the Renaissance. The second period was of ancient Greece, for which is critical writing gave us two excellent studies of Greek culture. One is ‘Greek Studies’ and the other is ‘Plato and Platonism. The third period is that of contemporary and modern literature. This work of a critic is best represented by Walter in the form of the collection of essays entitled as ‘Appreciation’. Pater was much acclaimed for his prose style. He used to keep little squares of paper, each filled with its ideas, and then shuffled them to form a pattern and sequence. He was so conscious about the required modification or addition to his work that he always wrote on ruled paper and kept each alternate line blank. Then he prepared a fair copy of it and sometimes even get it printed to judge its effect. Pater needed the sentence, and this sentence in relation to the paragraph, and then the paragraph as the movement. Pater had skills to make the numerous parentheses in a quick flow of rhythm. At the height of Pater’s writing power, he discussed broadly his style and principles of composition in the essay ‘Style’, published in 1888. Famous writer A. C. Benson mentioned Pater’s style an entirely new and absolutely distinctive which appeals more to the craftsman than to a common reader. His style was perfectly attuned to his philosophy with its depth, richness and sensuous rhythms. The Postscript to Pater’s work ‘Appreciation’ was an attempt at the definition of the two words “Romantic and Classic”. Peter believed that these two words were being used very loosely and vaguely. He thought that they represent two real trends and should be understood clearly. The word “Classic” is normally used as what is conventional and traditional. The word “Romantic” is used to mean something unusual, something new or in connection with the middle age thing. Pater believed that the distinction between these two terms was not necessarily between rational and emotions, or past and present. Rather it was the difference between two universal principles, which were co-existing in art. It is a clear distinction between form and idea, between authority and liberty. According to Pater, the classic has that charm of a tale, which can be told over and over again, still remains fresh. It gives the tranquil charm of familiarity. On the other hand, the Romantic spirit is an ever-present, enduring principle in the area of art. It gives strangeness to the beauty of art. The postscript gave the realization of the need for a distinct and clear definition of the words classic and romantic. Postscript can be considered as the reprint of his essay “Romanticism” at large. Peter believed that Classism and Romanticism were being used very loosely and vaguely. He thought that they represent two real trends and should be understood clearly. He mentioned the Romantic Movement in many of his essays especially in ‘Appreciation”. He understood that the Romantic School had been an important contribution to the field of literary art. He believed that Germany and England had made a significant contribution to the movement, however, it was French literature that the movement had found its greatest expression. The romantic spirit started as early as the poetry of Provence. It is one of the very distinct factors in the revival of learning. However Pater thought that it was in the heart of the great age of classicism, during the eighteenth century, that modern Romanticism initiated in the writings of Rousseau. As per Pater, there should be no quarrel between the schools of Romanticism and Classicism. Both are the main principles which have a permanent place in literature and art. He explored this in his essay ‘Romanticism’ published in 1876. Walter from his younger age became interested in the art and literature and started writing articles and criticism. In 1889, Pater published ‘Appreciation’, which was a collection of already printed essays on literature. Walter was also interested in Greek mythology, religion, and literature. He published them in the book ‘Greek Studies’. Walter studied French literature as well and worked on that. However, after his death, one of his colleague Shadwell edited and published Pater’s unfinished work ‘Gaston De Latour’ in 1896. Citations and reference of many of Pater’s work can be found in a number of other philosophical contents and literature till date. Walter Pater, at the age of 54, died suddenly of heart failure brought on by rheumatic fever on 30 July 1894 at his Oxford home. His body was buried at Holywell Cemetery in Oxford.